“While an independence that borders on alienation may be the enforced way of life for all 21st century Americans, there is a persistent subculture for whom it is a daily goal. Long Gone, a feature-length documentary film, follows this floating population over five years through the lives of six tramps who have chosen the rails over mainstream society. 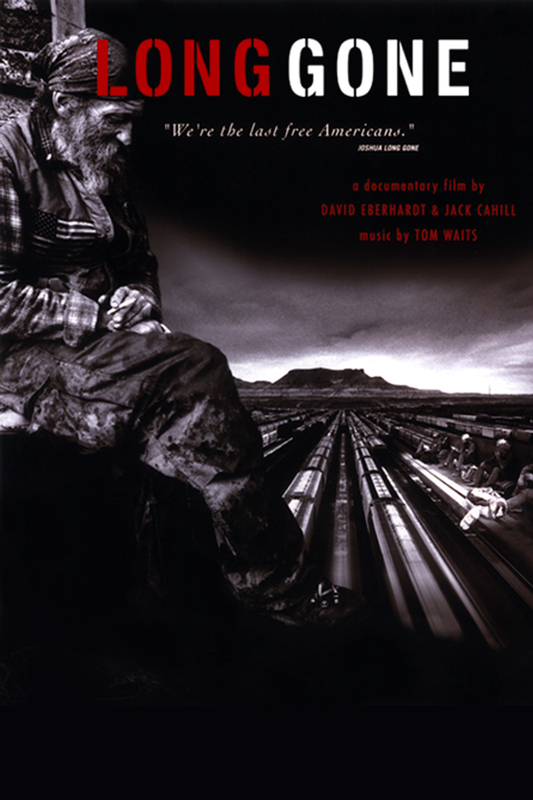 They are drifters, hobos, tramps and they define themselves as “the last free Americans.” Traveling through America’s heartland, Long Gone captures this microcosm with startlingly beautiful photography, seamless storytelling, and original music by Tom Waits. Long Gone allows the tramps to tell their own stories, capturing on film the larger tale of this subculture as it unfolds. Theirs is an anachronistic world of apparent anarchy and hard-won survival. New York Slim is our articulate narrator, the unifying hub between the characters, well-loved and respected by young and old riders alike. From a world-weary Vietnam vet to the wide-eyed, middle-class, adolescent girl, Long Gone enters the private lives of its subjects to witness birth, death, addiction, violence and redemption.